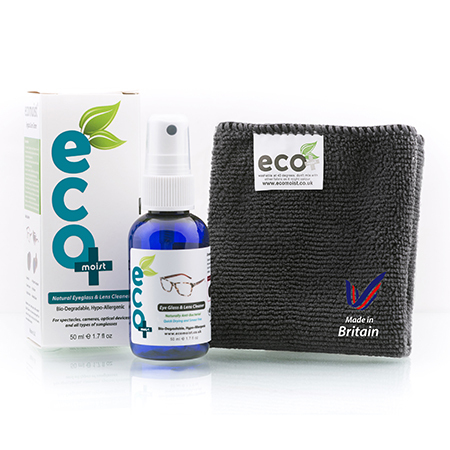 Ecomoist Optical and Eyeglass Cleaner is a natural, biodegradable and hypo-allergenic cleaner, to be used on all normal eye glasses, reading glasses, sun glasses , camera lenses and other optical lenses. 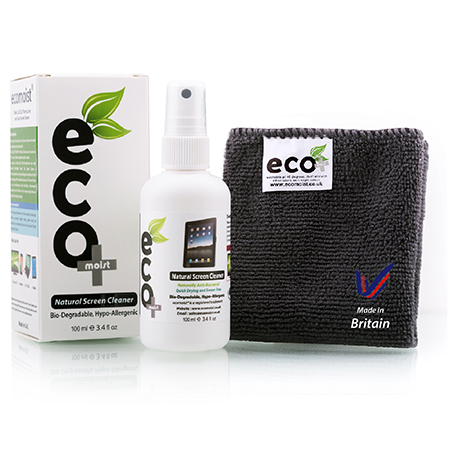 The product is made in UK and come with very soft Microfiber towel. 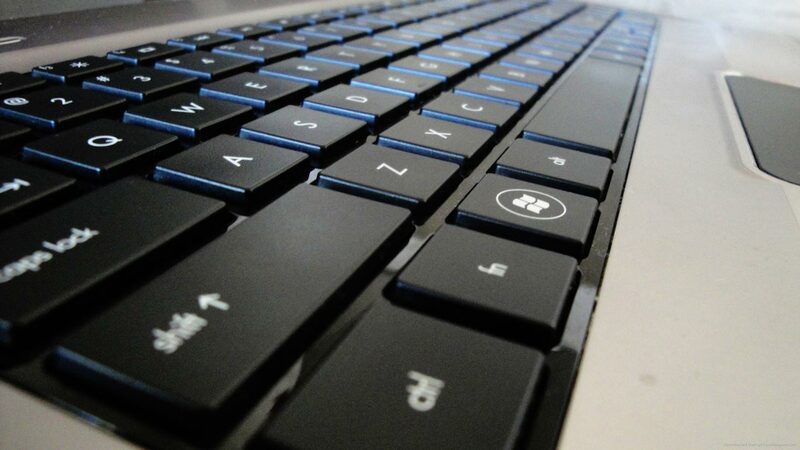 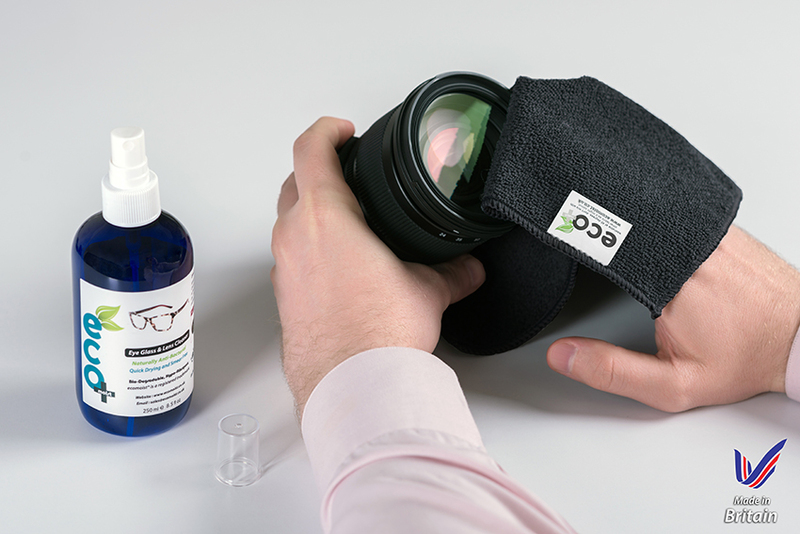 The formula has been created to protect and clean optical lenses without harming the coating of the glass. 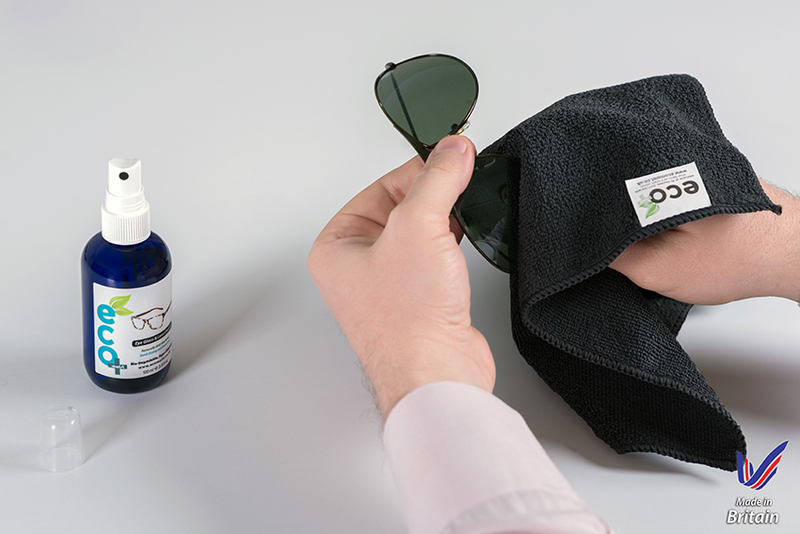 Please note the Cleaner can not be used on Contact Lenses. 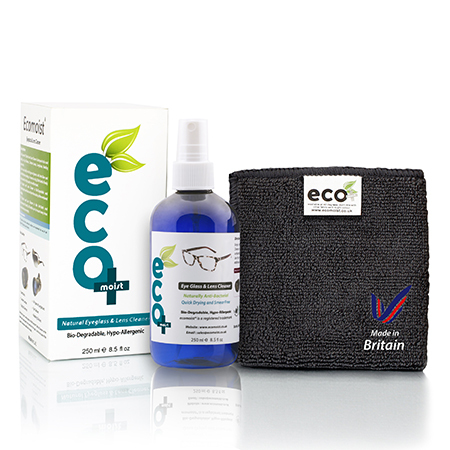 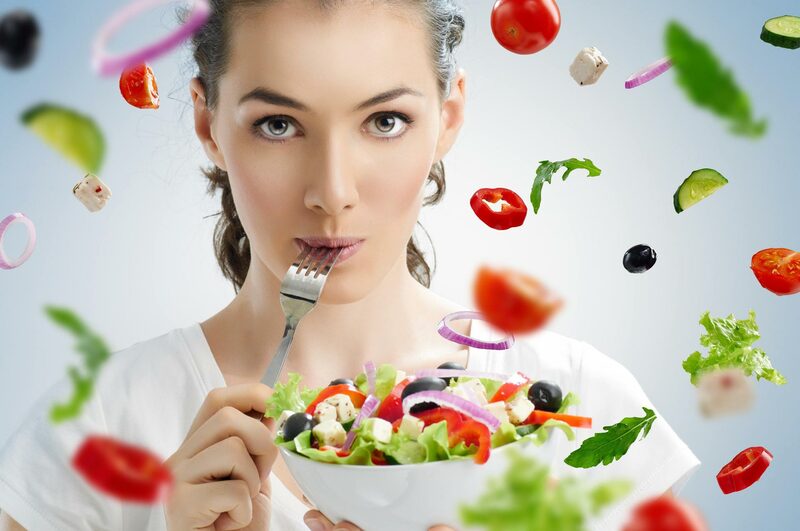 Why Ecomoist Natural Lens and Eyeglass Cleaner? 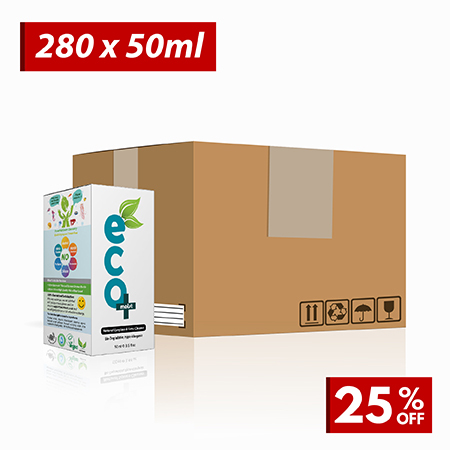 Compact Bottle: 250ml bottle (Use for Office and House). 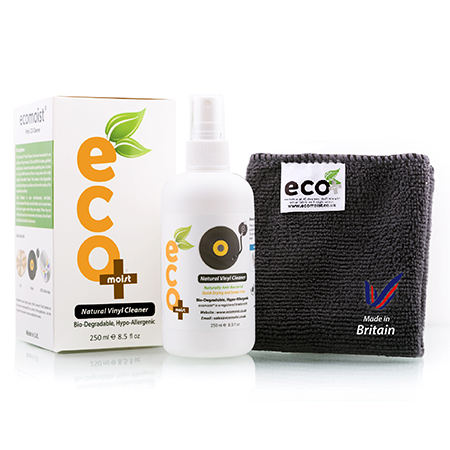 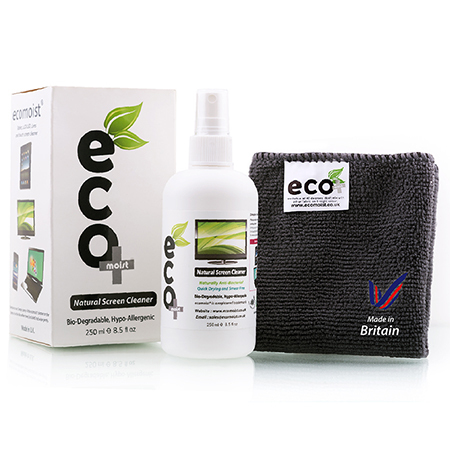 The Ecomoist Lens Cleaner includes 40x40cm premium quality soft Microfibre cloth and full instructions for use. 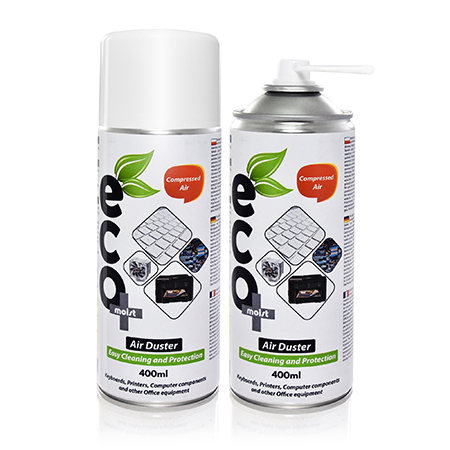 The kit is well packed in box.